We currently have a special offer of a discounted MOT for only £35. 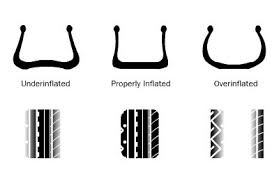 Correctly inflated tyres:When tyres are under inflated, there is a greater proportion of tyre tread touching the surface of the road. This causes an increase in friction which slows the tyre as it rolls along the road. What this means is your vehicle has to use far more power resulting in added expense to you, and a detrimental impact on the environment. In conclusion, maintaining your tyres at the correct pressure could increase the lifespan of your tyres, improve the safety levels of your driving, and also benefit your wallet as well as the environment.